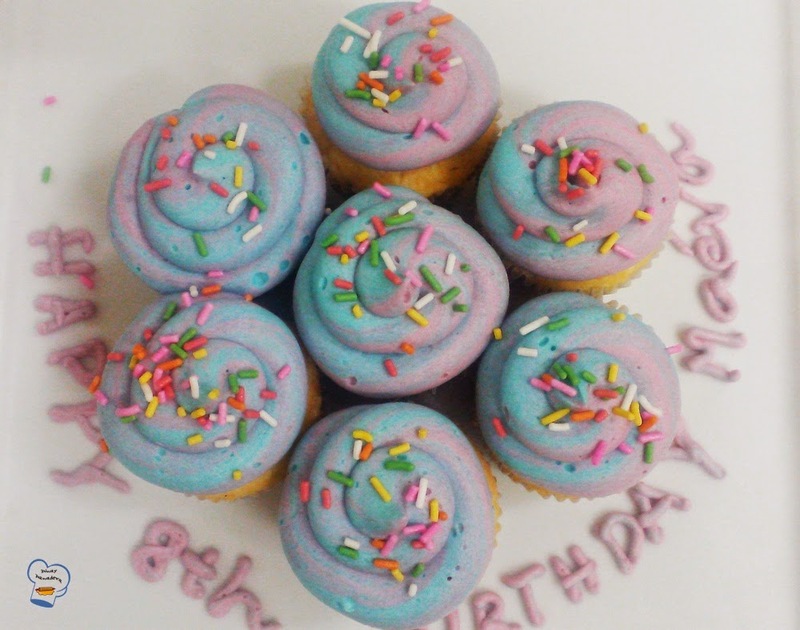 These cupcakes made a little girl's birthday so special. She was not aware that we had something prepared for her. Wondering why the colors were familiar? I had some leftover frosting from the batch I served at brunch. Tossing it would be a shame so I thought why not make a cupcake platter for her. Sunday's always crazy at work. 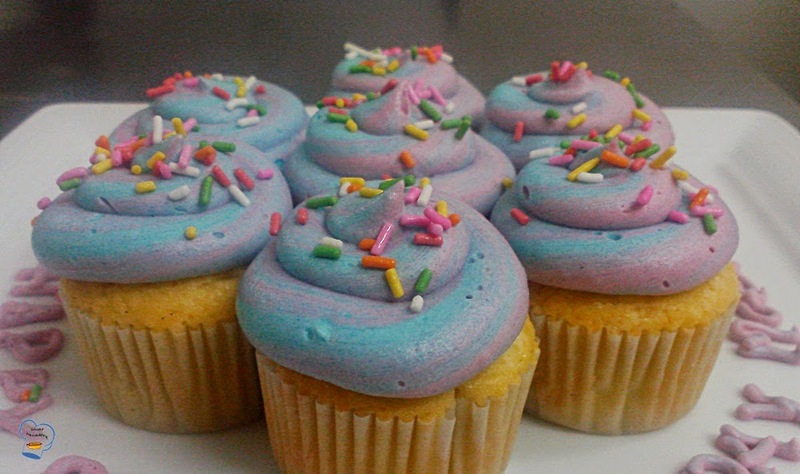 It would set me back had I chosen to baked her a cake, I went ahead with my plan, I made the girl a simple treat with these vanilla cupcakes. 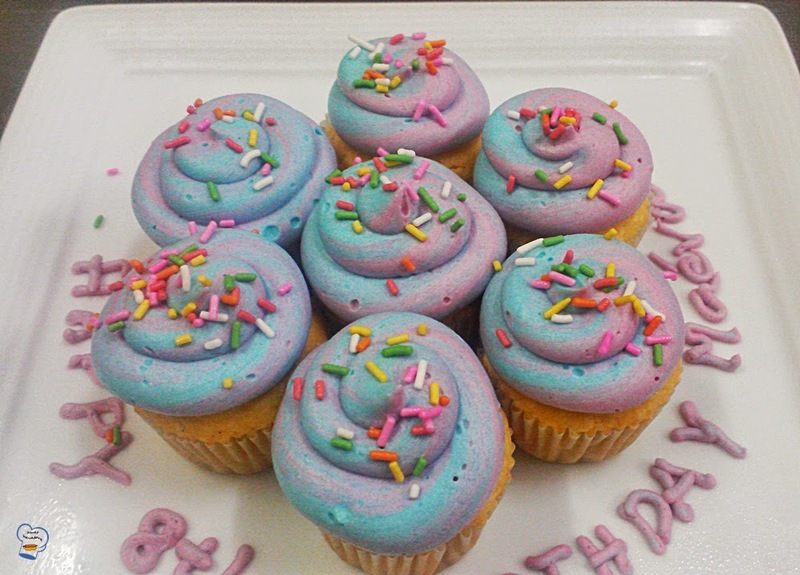 I opted to use two-toned butter cream to set them apart from the ones I served at dessert buffet. It was a simple surprise but enough to make the birthday girl happy.